Dramatica’s Terminology is Too Obscure! Dramatica’s terminology is too obscure and inaccessible to most writers. Since the differences between such terms as “Conceiving” and “Conceptualizing”, “Preconscious” and “Subconscious”, or “Mind” and “Psychology” is paper thin anyway, can’t you come up with some alternative words that are easier to understand? Excellent wish list! And I agree. I believe that any words which are difficult to understand in the semantic chart should be replaced immediately with more accessible words that are just as accurate. For example, Conceiving and Conceptualizing are much too obscure to be of use to the vast majority of writers. They should absolutely be replaced. Unfortunately, I have personally been unable to come up with alternatives. What is needed is an approach whereby writers themselves, having a command of the vocabulary, might suggest replacement words which we could consider. For those who might be interested in pursuing that endeavor, let me give some “plain English” definitions of the terms mentioned in the above comment, to assist in the process of finding different words that fit the definitions. First, the writer’s comment notes that the difference between Mind and Psychology is “paper thin”. That is probably due to our choice of words. In fact, the definitions between the two are quite far apart. What “Mind” DOESN’T mean: It is NOT a person’s personality. It is NOT his or her instinct. It is NOT thought or consideration. Personality is a combination of the fixed attitudes AND the mental processes in which an individual engages. Instinct describes how a mind responds to its environment based on built-in fixed tendencies, meaning that Instinct is more akin to a physical process, which is why that Dramatica terms is actually found in the Physics Class, rather than the Mind Class. Thought and Consideration are mental processes, so they have no place in a description of a mental STATE. Perhaps the best way to come up with words is to look at the whole quad. Each quad is really based on the very same relationships among four items as any other quad. It is the relationships that define the quad, not the words in it. So, if you can find one word in a quad that makes sense, you can base the other three words on those relationships. For example, a quad of Male, Female, Masculine, Feminine, has exactly the same relationship among the words at Mass, Energy, Space, and Time. This is also the same relationship as Up, Down, Higher, Lower or Knowledge, Thought, Ability, Desire, and Dead, Alive, Getting older, Becoming more youthful. So, if we look at the quad containing Mind and Psychology, we see that Universe, Mind, Physics, and Psychology have that same relationship in concept: in this case, an external and internal State and Process. That’s really all it means. Just that: Universe, an external state. Mind, and internal state. Physics, and external process. Mind, and internal process. Armed with this perspective, we can see why Mind would describe which sports we like to watch, while Psychology would describe the path our thoughts and emotions take while watching the game. Okay, so for those two words, we now have a number of explanations available from which to work. Now, the question is: what better words can be chosen for these two distinct meanings that are more accessible, cover the complete ground of each meaning, do not stray into the other word’s meaning in connotation or denotation, and fit as appropriately with the other two words in the quad (Universe and Physics) while maintaining the foundational quad relationship which must hold true in every quad. As I mentioned, I’ve personally been unable to come up with more appropriate alternatives, but fresh minds considering the above definitions may find a solution more apparent. Preconscious is a filter which prevents sensory information from making its way into the energy patterns of the mind, be they logistic, emotional, or even autonomic. It does not matter where this filter comes from to fit this definition. It might come from built-in brain patterns caused by genetic memory, caused by brain injury or damage, caused by experience at such a low level it doesn’t even effect one’s subconscious drives and desires. The key point is that even the SUBCONSCIOUS is not affected by the Preconscious in a proactive way. Rather, Conscious, Memory, and Subconscious are equally presented with filtered sensory information so that the Observation we Perceive may not be an accurate representation of the information in which our sensory organs were actually bathed. In contrast, Subconscious is the mean average of ALL the sensory experiences which actually get into the mind and aren’t stopped cold by the filter. Conscious, Memory, and Subconscious ALL receive sensory information directly, as well as receiving sensory information from each other which has already been processed by one or both of the other two. But none of those three receive ANY information which hasn’t already been filtered by the Preconscious. What sets the Subconscious apart is that it is not a mental force caused by specific observation, but is more like a field of snow drifts of different breadth, depth, and shape. This field is modeled by the constant drift down of sedimentary thoughts which evaporate out of inactive considerations, forming the storm clouds of memory, which drop a gentle snow fall on the field of the Subconscious. So, whereas Preconscious would be like sitting in a room with a ticking clock and, after a while, no longer hearing it (habitation), Subconscious would be more like having a gut level reaction to some person, place or thing you had never met, been, or seen before – either to be drawn toward it or repulsed by it. Preconscious determines of what we will be aware. Subconscious determines which of those things we will pay attention to above others, because of a sense of attraction or repulsion. As simply as I can put it: Preconscious determines what we see, Subconscious determines how well we perceive. Preconscious determine if we hear. Subconscious determines how well we listen. Before we jump into picking new words, we need to examine one additional attribute of Preconscious: In addition to filtering OUT information, it also filters it IN. This isn’t just a play on words. Rather than limiting the flow of sensory data into the mind due to habitation, the Preconscious additionally represents the force of “sensitization”. Here, sensory input which is too weak or insignificant to make it all the way through the neurology into the mind gets amplified or boosted by the Preconscious, much as telephone signals are boosted on the way from a home or office to the switching station. So, our senses can either limit out information or make us acutely aware of information. The Subconscious, then, will determine how much attention we pay to what is there (based on its interest value as an attractor or repeller) or how much we notice that something is missing (based on our yearnings and fears). As a last comment, Preconscious should not be confused with Instinct. Instinct causes a built-in response to patterns of observation. When a pattern is recognized, it triggers mental activity which can lead to action. In contrast, the Preconscious determines how we will respond to sensory stimulation before the mind gets hold of the information. It is well known that sensory signals generated by touching a hot grill may cause the hand to pull back before the nerve signal has time to be processed by the brain. This is not Instinct, but Preconscious. In effect, there are direct routes from sensory input to physical response. In addition, there are direct routes from physical conditions to emotional response. Parts of the brain such as the hypothalamus and pituitary secrete chemicals that flavor and even cause emotional conditions. These can be affected by such things as exercise and the types of foods recently eaten (as well as by medications). Preconscious encompasses this kind of impact as well. Again, we must look at the whole quad to determine if our new words work in the essential relationships among all four items that define the quad in the first place. This quad has Memory, Conscious, Preconscious, and Subconscious in the same positions as Mass, Energy, Space, and Time, and Dead, Alive, Growing older, Getting younger, as well as all the other examples listed above. The new words must also fit. Simply put, Conceiving is the process of determining what is needed. Conceptualizing is determining how to fill that need. Now that is a really warped view, but it is simple. For example, Conceiving would be looking at all the things that might lower the night-time crime rate in a third world city to find the best thing to do the job. Conceptualizing would be visualizing how to build an electric light. Conceiving takes time because it requires the consideration of a number of alternatives: a bigger police force, turning vicious dogs loose at dusk, more severe punishments for night-time criminals, arming the populace, etc. Each time a new item comes to mind, Conceiving concludes. 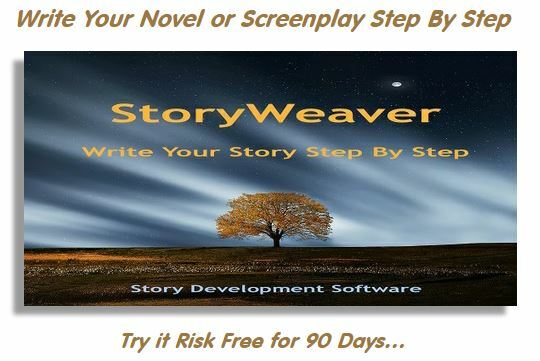 So, some stories might be about the mental work of trying to arrive at just one idea, while the course of the story is filled with frustration until that happens. But another story might show a series of efforts of conceiving, each of which is shown not to be satisfactory, so the process begins again. In the example above, the story would not end until someone conceived of using artificial lighting of some sort, rather than dogs or vigilantes. In that story, no one spends time figuring out how to actually PAY for more police, how to keep the dogs from attacking innocent people who were visiting sick relatives, how to know which members of the population should receive guns since the criminals would receive them as well if the whole population got them, OR how to build an electric light bulb. All of THOSE ideas require Conceptualizing, rather than Conceiving. But to say, as I did, that this was just about figuring out what was needed (Conceiving) and what would fill that need (Conceptualizing) is seriously misleading, if not absolutely wrong. Conceiving and Conceptualizing also apply to internal issues, and even emotions. And, they don’t have to be about a lack, but can be about an over abundance. AND, they don’t have to be about something that is a problem, but can be about something that is good. AND they don’t have to be about changing anything, but can be about fully appreciating or experiencing something. In truth, Conceiving and Conceptualizing do not require each other. One might be a cave man who conceives of the need for artificial lighting, but will never Conceptualize an electric light bulb or any other means because the pre-requisites simply don’t yet exist. Similarly, one might conceptualize an electric light bulb without having any idea to what use it might be put. That is the “D” in “R & D”. Development in the hope that once something is actually created, a use for it will be found. Again looking at the quad, Conceptualizing, Conceiving, Being, and Becoming have the same relationship at Mass, Energy, Space, and Time. They don’t feel like it though, do they? That is because we are in the Psychology Class, and that class is the one of the four in the quad of Classes that is at the “end of the trail”. Just like, Dead, Alive, Growing older, and Becoming Younger, the last one, “Becoming Younger,” is the least accessible to simple understanding. So, the Psychology Class is the hardest to see in a logical mode. But, since Conceiving and Conceptualizing are down at the Type level, they are already two levels into the area in which logic works least well. That means that these areas are really best understood in terms of emotion. I don’t mean words describing emotion, but in terms of actually FEELING the meaning, rather than THINKING the meaning. But, we can’t put feelings directly in the chart. So, when we go even one more level down in the Psychology Class, we get even farther away from the experiential aspect. For example, the Variations Rationalization, Obligation, Commitment, and Responsibility are all understandable as things we see in others, but they are SUPPOSED to describe how those things feel to US. What do YOU FEEL when you have a sense of Obligation – a sense so strong that even though all your logic and common sense tell you to chuck it all, you still stick around? This is one reason people stay in awful marriages even though they are quite aware of all the awful things they endure. There is that gut-level twang of Obligation, or Responsibility, or a truly motivational, adrenaline-rush sense of commitment, or that strange little force of Rationalization which allows you to lie to yourself about your real reasons for doing something, yet buy it hook line and sinker until you absolutely believe it as if it were the gospel. So, jumping back up to Conceiving and Conceptualizing, the new words must not only capture the definitive meanings but also the much more important emotional feel of what is going on. Finally, we must note that although every quad illustrates the same relationships among four items, there is a reason why each quad uses four different words. The entire structure is based on the upper left item in the topmost quad that we call “Universe”. That is the Knowledge position in the quad, which is why we call the structure a K-based system. That is also why we say that the whole structure is biased toward K. In our society, we read from upper left to lower right, which makes that Universe position the most powerful. But more than that, whatever we chose to be the upper left item would set the tone or bias for the approach by which the other semantic terms need to be chosen. This means that the quad is not only about relationships, but that each of the items in the quad, even before it is named, has some intrinsic value. For example, if we picked four math functions: addition, subtraction, multiplication, and division, each has a meaning in and of itself. Now suppose we put these functions in a quad – not the names like “addition”, but the actual functions themselves. The FUNCTION of addition might go in the upper left of a K-based quad, and then following the same pattern as all our previous examples the subtraction, multiplication, and division functions would follow. We still haven’t named them, just made their functions operate in each of the four spaces in the quad. So, each has an identity without a name. Now, if we create a second quad under the addition function and give that quad the very same four functions something interesting happens. If we want to look at that quad, we have to go through addition first. In other words, we would have to perform the addition function before we could get to the subtraction below it, or any of the others in the second level quad. We are applying one operation on top of another. Clearly, the order in which these functions are played out will change the result of the equation we are creating. This means that we cannot consider the second level equations except in the context of the operation which was already performed to get there. The result of all this is that if we wanted to name each item in the second level quad under “addition” in the top quad, the names would have to be different than those under “division” in the top quad, even though the same four functions are at work. This creates a fractal nesting to the whole structure. And, with any fractal structure one can see repetitive patterns. So, when we compare the second level word, “Past” to its parent “function”, Universe, this has the exact same relationship as the second level word, “Memory” compared to ITS parent function, Mind. Therefore, when we come up with new words, they must not only match the definition of the function and maintain its relationship with the other three items in its quad, but must ALSO maintain an analogous relationship with any parents above it and any children below it COMPARED TO all other items and their parents and their children. That’s why the structure took so long to create. You start from K and work your way down to the elements and maintain identities, intra-quad relationships, inter-quad relationships, and analagous fractal relationships. So, in conclusion, I absolutely agree that some of the words in the chart are difficult to access. Absolutely we must find better alternatives. But since we aren’t just talking words here, but semantic representations of mathematical relationships and functions, it is important to be sure accuracy is not lost in the quest for accessibility. The only reason the Dramatica chart and Story Engine work at all is because the algorithms which created them are accurate and mathematically precise. The most accurate appreciation of it would be to simply understand the structure without any words at all. But, since that is virtually inaccessible to most, the next best thing is to assign words to each of the functions that intuitively describe their identities and illustrate their relationships. It is almost as if distance between terms in the model holds meaning, and if one pre-supposes a meaning, one could know precisely where to chart it on the model. Let us move forward, then, with all haste to replace obscure words, but let us also move forward with utmost caution to ensure that accuracy is maintained. For if the words chosen to not accurately fulfill all of the precise identities and relationships they are intended to represent, then the model they create as semantics will no longer function accurately to hold and predict meaning. 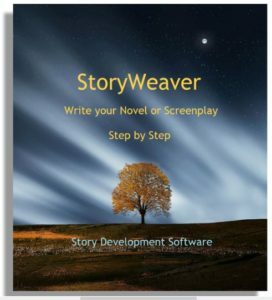 The Story Engine will keep working according to its programming and the chart will still be nested, but the meaning of the chart and the semantic output of the engine will start missing the mark as being intuitive. The Dramatica effect will be diluted, and the power, usefulness, and magic of the theory and software will be reduced. By all means, we MUST make things more accessible, but I firmly believe we do writers a better service by providing slightly obscure absolute accuracy than by providing slightly accurate absolute understanding. With an accurate model, a certain amount of learning can ultimately provide complete understanding, but with an inaccurate model, the more one learns, the more obscure it becomes. If you’ve read this far, congratulations on your tenacity: you are now ready to consider all the variables you’ll need to juggle in the process to suggest alternative semantics. This entry was posted in How Dramatica Works. Bookmark the permalink.